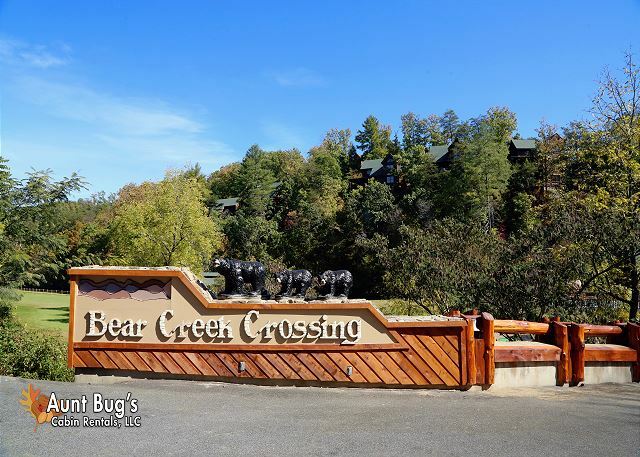 Absolutely Wonderful: Located in the Prestigious Gated Log Home Resort of Bear Creek Crossing, Pigeon Forge TN. (5 miles to Parkway Light #3) Close to Dollywood, Cal Ripken Baseball Experience & all the Restaurants. 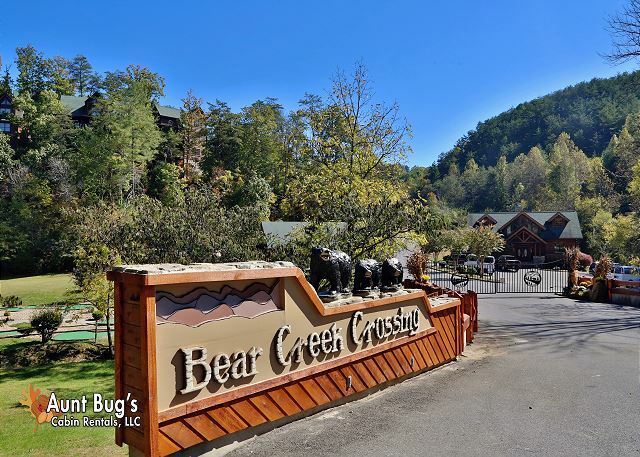 Easy access to Gatlinburg, the Great Smokey Mountains National Park & many other attractions. 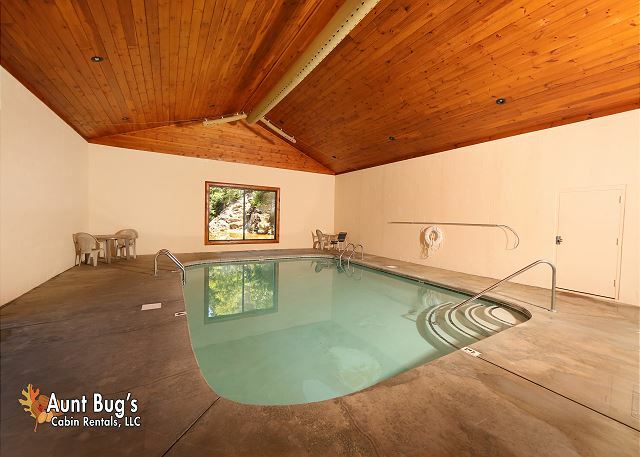 Once you enter this luxurious three level spacious cabin you will be greeted by high vaulted beamed ceilings and a floor to ceiling stacked stone fireplace. Next you will see the large and fully equipped kitchen with table seating for eight. As you reach the top of the staircase you will find the first of three large master suites decorated with cabin decor; two with beside fireplace and Jacuzzi. 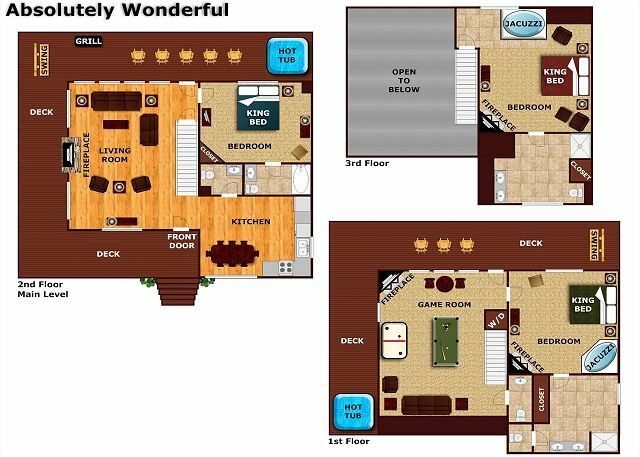 Down stairs you will find another stacked stone fireplace with a large flat screen TV to watch the big game and an amenity filled game room offering a Multi Game Arcade, Pool Table, Air Hockey, Popcorn Maker, Free long distance & Wi-Fi. Two hot tubs one on each of the large country porches equipped with rockers and swings. Take a swim in the indoor or outdoor pool or play a round of putt-putt at this popular luxury resort. This luxurious cabin has a total of four fireplaces, three large bedrooms, two pullout couches, five bathrooms, a TV in every room and plenty of space. Whether for a couple’s romantic weekend or a family vacation, this is what pampering is all about. No smoking allowed at this location. Price includes six people. Each additional person is just $12.50 nightly. See Virtual Video on the "Video" tab on this webpage!